With floor plans ranging from 412 – 1,420 sq. 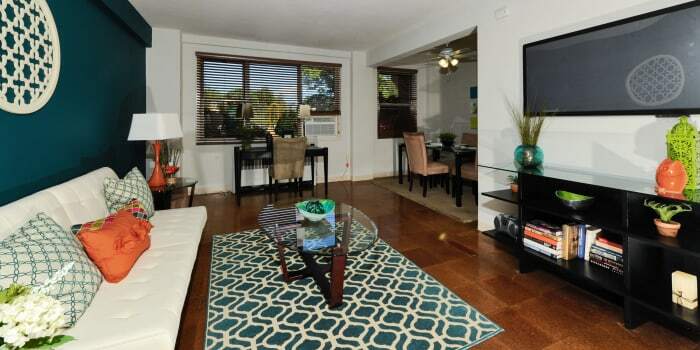 ft., you can find the space that fits your dreams at The Marylander Apartment Homes. 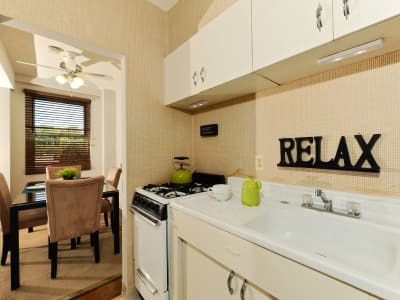 Inside each of our apartments, you can expect impeccable design and updated features. We’ve updated many of our kitchens with granite countertops and stainless-steel appliances so you can easily prepare your meals for the week. Your new apartment also features ample storage, with custom kitchen cabinetry, a generous pantry, as well as spacious wardrobe and linen closets. To tour our updated student apartments in Baltimore, MD, call The Marylander Apartment Homes today. Welcome home to The Marylander Apartment Homes. With a variety of layouts to choose from, it’s never been easier to find your picture-perfect space. Our community offers studio, one, two, and three bedroom student apartments in Charles Village, Baltimore, MD. Located within walking distance of Johns Hopkins University and MedStar Union memorial Hospital, our community also offers short drives to Baltimore International College, Loyola University Maryland, and University of Baltimore. To ensure your apartment is ready for move-in, each home undergoes a 101-point inspection, fully backed by the Morgan Properties commitment to excellence.